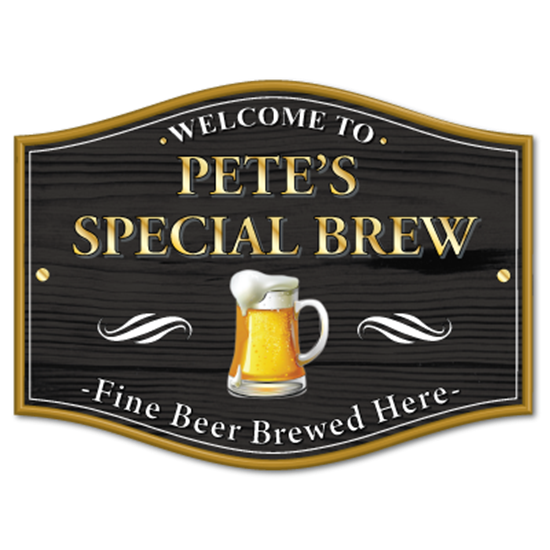 Wooden effect English pub sign, a perfect gift for any home brewer. 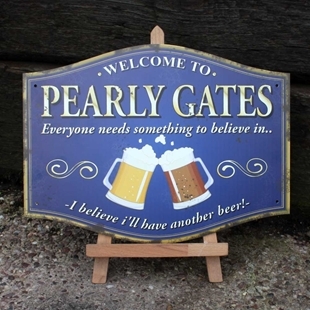 This barrel shaped sign is printed in the style of a traditional english wooden sign often found in quaint British pubs. This design has a print glass logo. The wording "Fine beer brewed here." remains on unless you tell us otherwise and would like to change it. 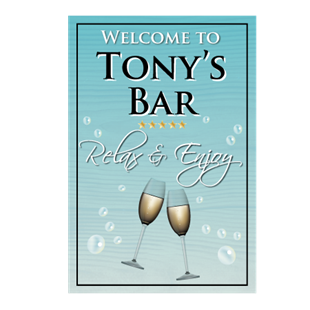 An aged rusty effect metal bar sign,personalised with any text. 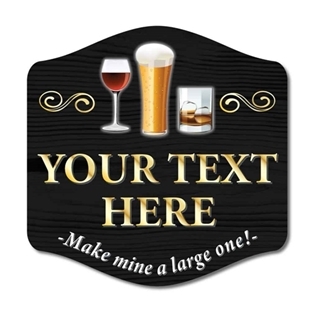 SP-00285 - Personalised english pub sign with a choice of colours and sizes. 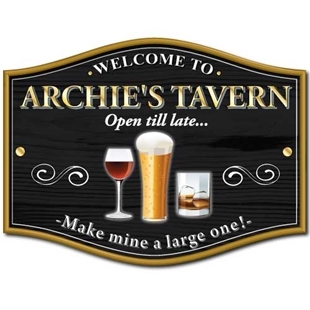 SP-00079 - Personalised wine bar sign - ideal as a personalised gift.